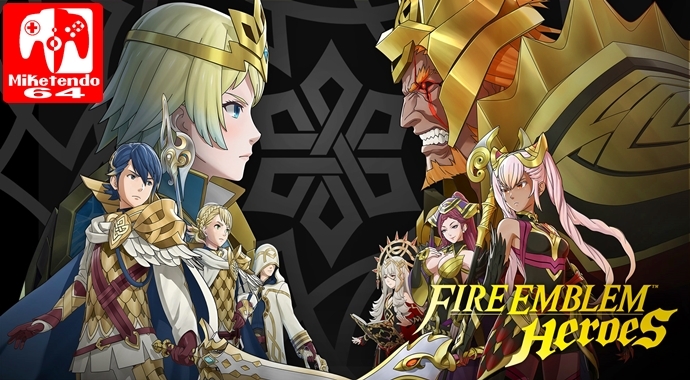 When it comes to the mobile application, Fire Emblem Heroes, Nintendo and Intelligent Systems are as determined as ever to see the app remain the growing success it is and that determination means new content. New content in the form of Illusory Dungeon: Tap Battle, Tempest Trials, Book II and now Blessed Gardens and Rival Domains. Coming to Fire Emblem Heroes as a new kind of Special Map, which pits you against a large army (called a brigade,) is Rival Domains. The goal of Rival Domains is to lead your team Heroes (no duplicate Heroes allowed,) to capture the enemy’s camp and defeat the opposition within 10 turns, in an effort to score as high a score as possible. As well as being able to recruit allies from your friends for the Rival Domains maps, you can also deploy up to 20 Heroes and the very first time you can go to war, is when the update goes live, with a new map becoming available every week on Saturday at 08:00 CET for European audiences and Friday at 23:00 PT. Restrictions: No duplicate Heroes are allowed and you can only use one ally who has either the Song, or Dance skill. Upon the first time you get to try out the Blessed Garden, 4 Water Blessings will be given to you, so any one of your chosen Heroes can be blessed and then used in battle. The first Blessed Garden, Garden of Water will allow you to earn Blessings of other elements, thus opening up the path so that you can try on other gardens. In a similar fashion to Rival Domains, Blessed Gardens “will become available with the update, and new maps will be added on a weekly basis,” every Sunday at 08:00 CET for European audiences and Saturday at 23:00 PT. As always, we hope you found our little guide helpful and be sure to take part. The Hero who choose, might just be the one we get!